Traction Guest empowers businesses to create unique guest experiences with a cloud-based visitor management system. We believe in innovation. And we believe people matter. With the Visitor Management Award, we want to recognize technology-driven innovation that’s enhancing visitor experiences. If you’re using Traction Guest to increase security, improve office efficiency or accomplish something incredible, we want to hear about it! Each month, we share a client story about how they’ve created a unique visitor experience. We’re excited to announce that the Visitor Management Award goes to the Patagonia Worn Wear Tour. Who is Patagonia and what is the Worn Wear Tour? Patagonia is an outdoor apparel company and Certified B Corporation (one of 1,800 organizations to meet B Lab’s social and environmental accountability standards – Traction is also a certified B Corp!). To help their customers remain eco-friendly, Patagonia hosts the Worn Wear Tour each year. For the third year, repair technicians travelled across the United States fixing garments, so that customers can continue to wear their favorite gear for years to come. On the Worn Wear Tour, Patagonia repair technicians have a lot to manage. They must record each garment that comes through the repair truck, mend everything and return clothing to the right owner at the end of the day. Since keeping Patagonia gear in action is the driving force behind the Worn Wear Tour, they also want to take photos of Patagonia customers with their favorite jacket or shorts. With a lean team focused on repairs, they often miss the chance to snap a picture of everyone who comes through the door. The repair technicians need to focus on getting garments back to their customers quickly, so Patagonia was looking for a solution to manage a lot of the administrative work. 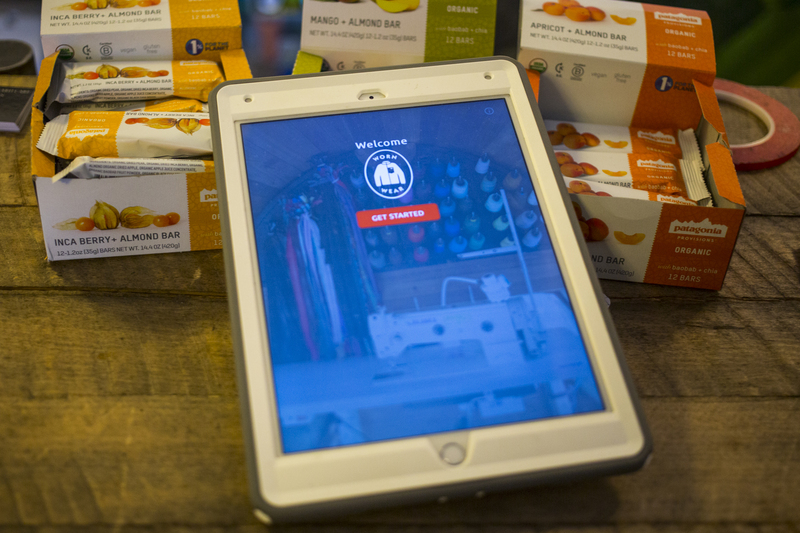 Patagonia now uses Traction Guest’s visitor management functionality to manage checking in, repairing and returning garments during the tour. Customers sign in their item, use the host selection page to identify the fault that needs repairing, and a form page to locate where the repairs need to take place on the garment. Once the garment is cataloged, a badge prints with contact and repair details, and it’s adhered to the clothing. With the badge, the technician has all the information they need to quickly move through the repairs and return the garment to its owner. Patagonia developed a solution to help manage, track and record each article of clothing in the cloud, just as many organizations would do with their visitors. No matter where they are working, the repair technicians have access to each garment’s visitor record with the help of Wi-Fi or wireless data. Checking in clothes, rather than people? This is a first for Traction Guest! 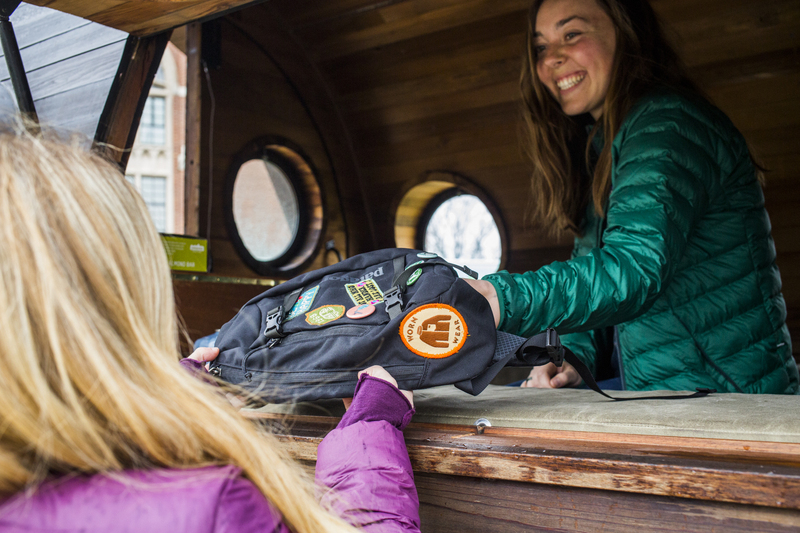 We love that Patagonia is taking Guest on the road to help them manage a great initiative. To celebrate their innovation, Patagonia won the March 2017 Visitor Management Award. Our Customer Success team is excited to see how you use the Guest platform to improve and innovate on your visitor management process. Email our Customer Success Team to share your story for the next Visitor Management Award.